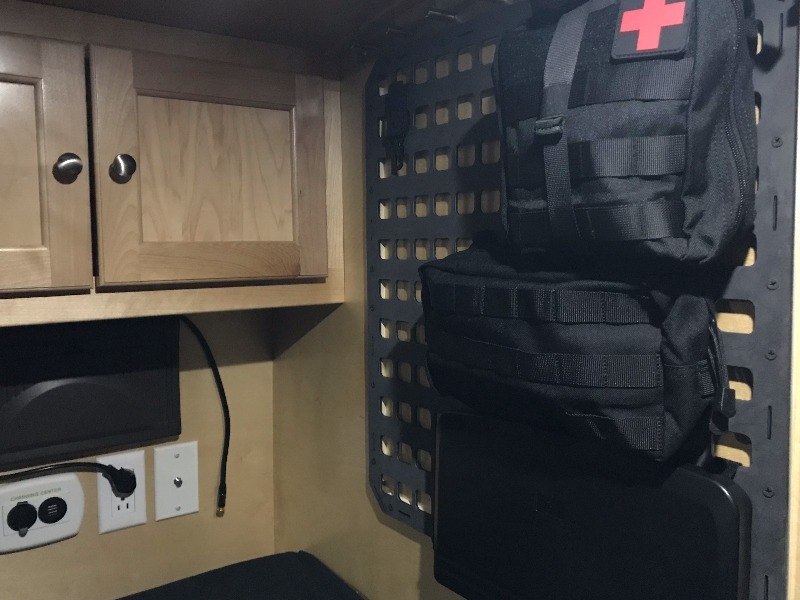 The RIP-M is designed to be a customize-able MOLLE panel that can be mounted inside of a bag, gun safe, case, vehicle, etc to provide quick and organized access to your critical gear. Mounting straps not included. See "Mounting Hardware" page for mounting straps. This is my second Greyman RIP-M panel. My first I use on duty. 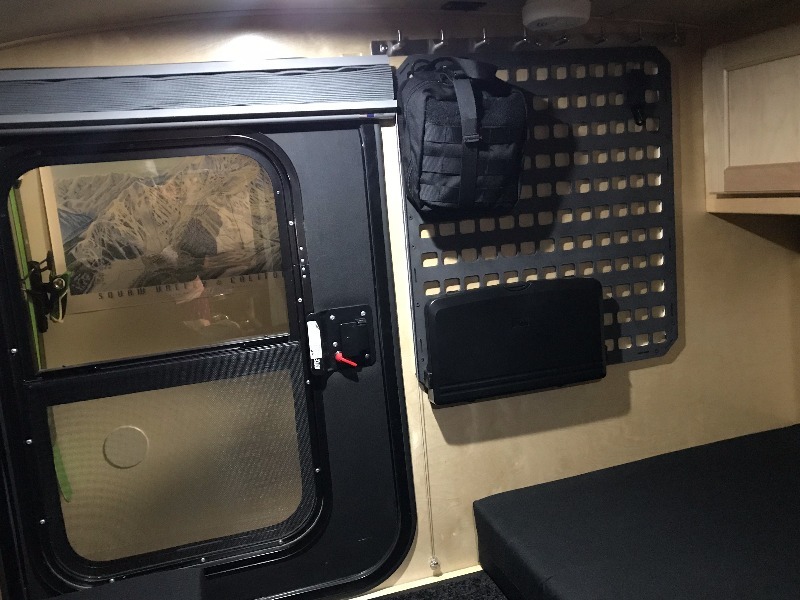 It worked so well I ordered the 21.25 x 23 and mounted it in my van. Works great to organize all my stuff. 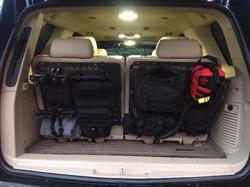 These are great products, allowing you to add MOLLE versatility to virtually anything. I mounted these on the inner walls of my Little Guy Silver Shadow teardrop travel trailer. I figured it was a good way to keep stuff up and out of the way in such a small space. 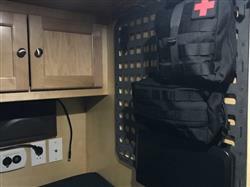 I have so far attached breakaway pouches for a med kit and a survival kit, a couple of 5.11 large pouches for small tools and hygiene gear and a couple of drop down table/drink holders. I spaced the panels from the wall using 1/4" thick by 1" wide wood pieces. The panels were stronger than I expected and extremely strong after they were mounted to the walls. I am very happy with how it turned out. 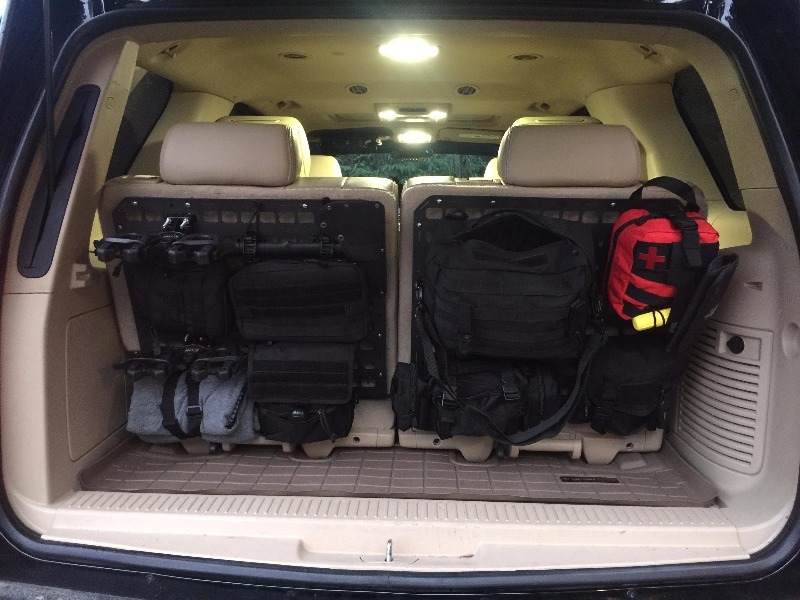 Chatted with Paul to figure out some options for my Tahoe third row seats with the Molle platform. Awesome products, shipped fast, very sturdy, works awesome!